If Akron Children’s Hospital ever had a “super fan,” 15-year-old Christian Lambright would definitely qualify. Christian, who has a neuromuscular disease and has had a tracheostomy, G-tube and mediport since birth, considers Akron Children’s his second home. During his sometimes weeks-long stays as an in the hospital, Lambright frequently works with art therapy coordinator Molly Kohut. Kohut has met lots of memorable patients during her tenure in the Emily Cooper Welty Expressive Therapy Center, but none a greater admirer of Akron Children’s than Christian, whose most recent piece of art featured flowers and trees with the hospital’s 125th anniversary logo. Fresh Air Camp is an annual 6-day summer camp for children who are tracheostomy and ventilator dependent. 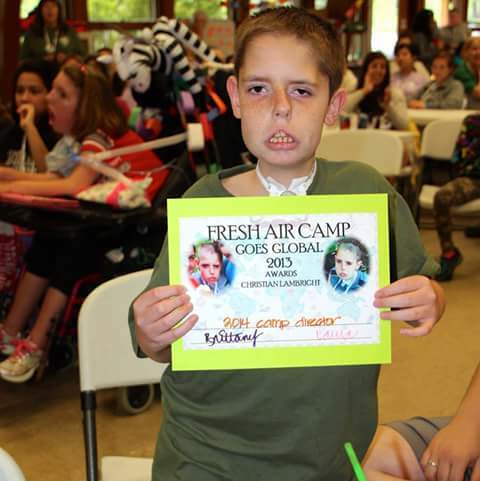 Christian has attended Fresh Air Camp (which was founded by employees from Akron Children’s and other local hospitals) since he was 5 years old and is quite possibly the camp’s biggest cheerleader. 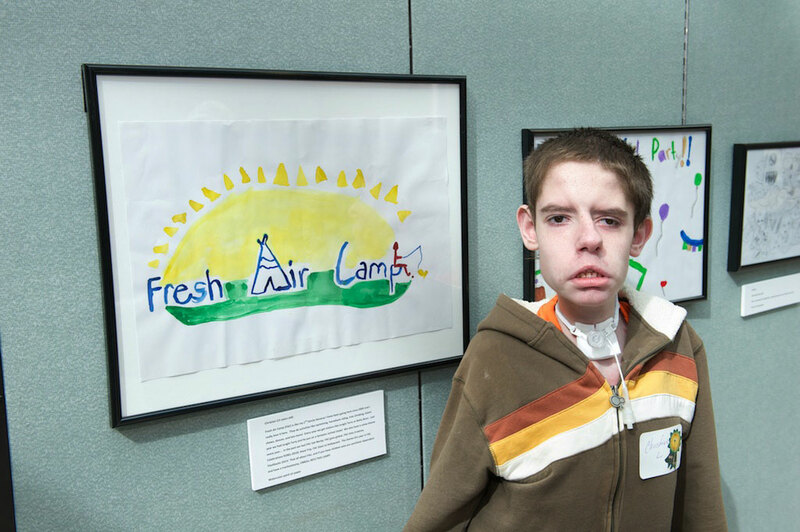 During the expressive therapy center’s patient art show in May, Christian showcased a watercolor painting in the spring Create, Heal, Inspire show featuring Fresh Air Camp. We asked Christian to share some insights about his life, passions and plans for the future. Q: How did you get into art? A: I got into art a couple years back when one of my nurses taught me how to do art. Q: What inspires you in your art? A: I get inspired by things I care about and love – like Akron Children’s and Fresh Air Camp. Q: What does the hospital mean to you? A: Akron Children’s means a whole lot to me because all of you guys are so awesome and super nice. You don’t know how much that means to me. My mom and I appreciate it a whole lot. I hope the hospital will keep moving forward as the years go by and keep making kids happy and better. Q: How do you spend your time outside of the hospital? A: I attend school 5 days a week at a local high school. I was being homeschooled online, but we recently discovered that Akron Public Schools provides nursing on-site at the school so we decided I should return to public school. Outside of school I chill at home by watching TV and movies, listening to music, playing video and board games, and hanging out with family. Q: Fresh Air Camp has been one of the joys in your life. Tell us about it and what you like best about it? 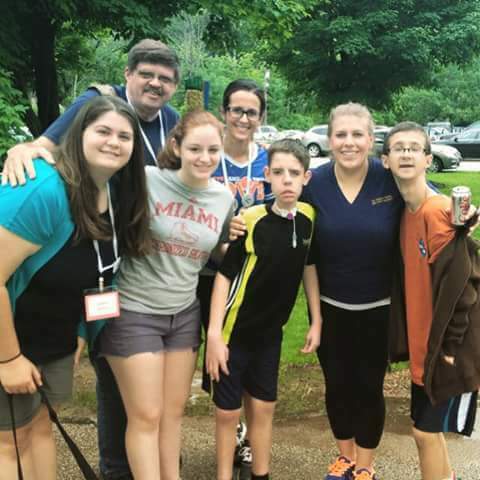 A: Fresh Air Camp is a week-long overnight summer camp held in Strongsville, Ohio. We do activities like horseback riding, swimming, tree climbing, talent shows, dances, arts and crafts, hikes, and bingo nights. We also have many special guests who come out to camp like Jungle Terry’s Animal Show, Slider, Cleveland Browns players, Disney characters, superheroes and many more. I love everything about Fresh Air Camp because I have been going there since 2005 and have never missed a year. 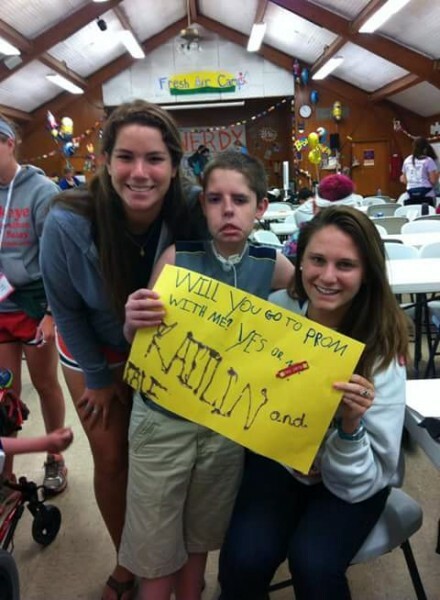 I have made lots of good friends there over the years and I plan on becoming an activity staff member when I turn 18.